How do you define the youth? This is a question that international fashion brand, Penshoppe, wishes to answer with the introduction of its global group of brand ambassadors, aptly called Club Penshoppe. Composed of dynamic young members from Penshoppe’s various global markets, Club Penshoppe aims to celebrate the youth’s power to inspire others, wherever in the world they may be. Seven fresh faces represent the group in the Philippines, where they’re collectively referred to as #ClubPenshoppePH. They paint a picture of the Filipino youth, a group that continues to triumph over hurdles to become a celebration of acceptance, diversity, and individuality. “They’re also noticeably multiracial because the Filipino youth is no longer bound to the long-standing typecasts—that we should be of a certain shade and have a certain set of characteristics. Our youth is global and that’s something we all should be proud of,” adds Bascon. #ClubPenshoppePH is composed of PBB heartthrob Tanner Mata and international model Tyler Mata, Spanish model Emilio Francisco Perez, young actresses Loisa Andalio and Sofia Andres, Brazilian model and former Teen PBB housemate Maria Fabiana, and Hashtag member and actor Ronnie Alonte. 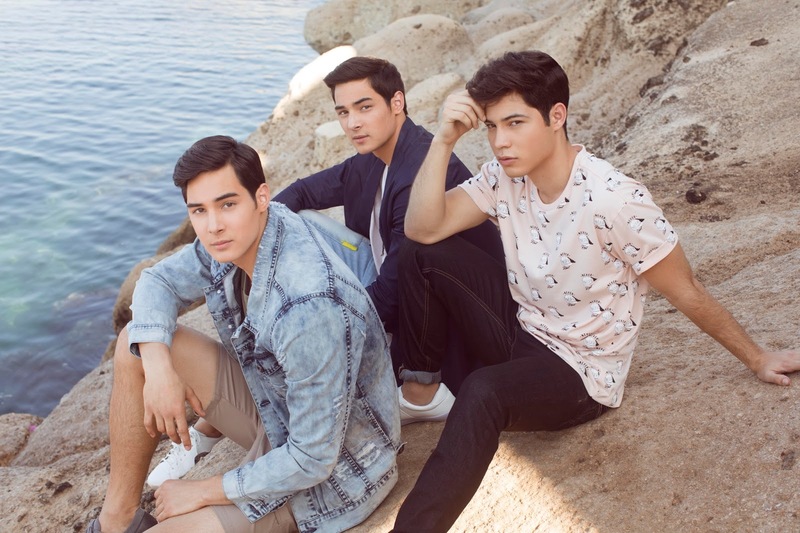 Founded in 1986, Penshoppe is a homegrown fashion brand that has become a much-loved destination for casual clothes in other parts of the world. Its clothes, with its bright colors and dynamic designs, are known for reflecting the bold and adventurous lifestyle of Filipino youth through the years. “Each member of #ClubPenshoppePH is more than just a pretty face. They all have a story that everyone can relate to, will inspire everyone to go for their dreams and see the good in others. We can’t wait for everyone to get to know them better,” Bascon says. Club Penshoppe is a global initiative to find new faces that will inspire Penshoppe’s local markets to see their youth in a different light. It kicks off in the Philippines with #ClubPenshoppePH.